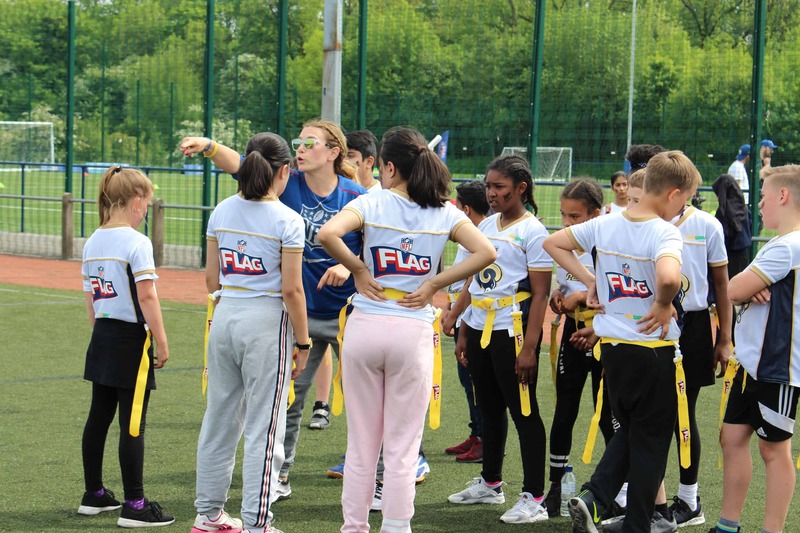 I recently spent the afternoon at the Manchester regional NFL Flag tournament and learnt all about NFL Flag and how schools could get in on the action. 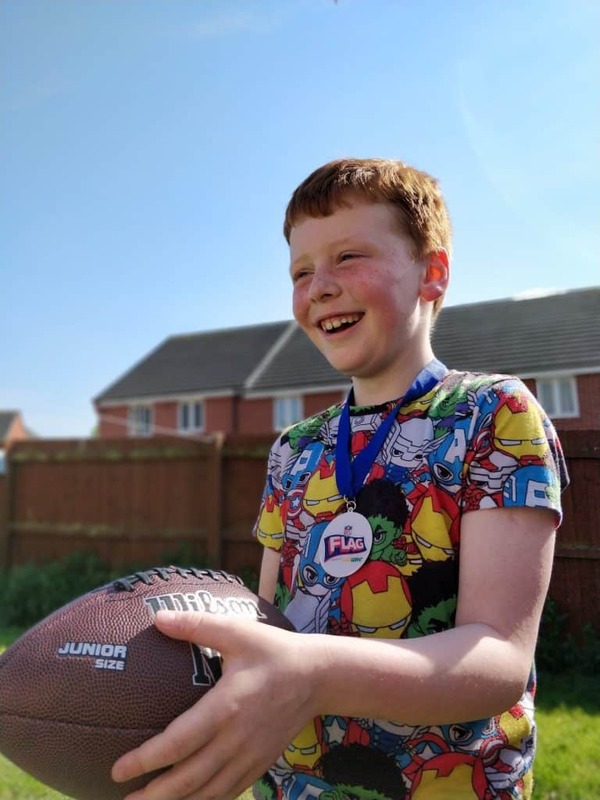 NFL Flag is a version of American football suitable for ages 8-14. It is non-contact and completely inclusive meaning that there is a place on the team for pretty much everyone. I met with a number of different schools partaking in the tournament as well as some of the NFL team and the presenting sponsors – Subway™. It took me a moment to get to grips with the fundamentals of the game. It all seemed a bit fast paced at first but before long I had the general gist. The coaches and teachers were extremely passionate which really helped the children get into the spirit of things and let loose! I absolutely loved that it was more than just teaching these children a sport and they also instil the core NFL values such as Respect, Integrity and Responsibility. All this whilst learning about being active and eating healthy in a 6-12 week curriculum. These are all skills these children will use both on the field and in their day to day lives. These children were all learning and putting new skills to the test but mostly they were having the best time whilst doing so. 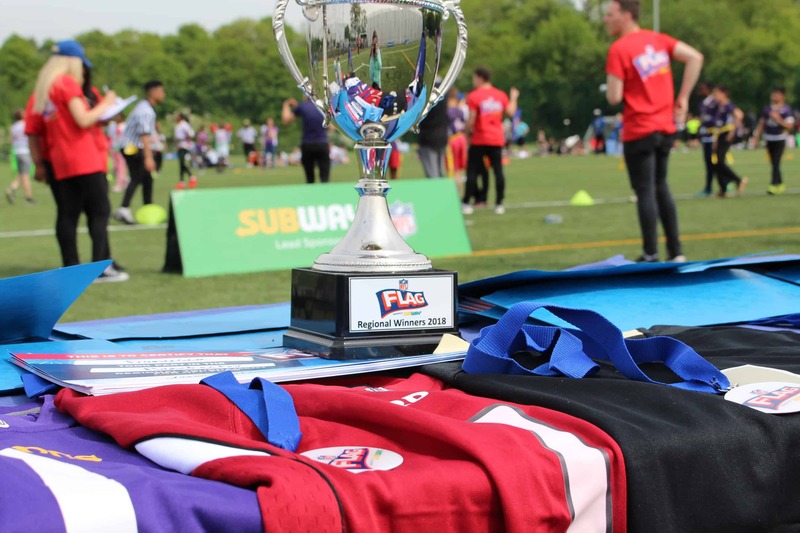 NFL Flag presented by Subway™ UK & I originated in London but now currently operates in Manchester, Leeds, Birmingham, Gloucester, Bristol, Peterborough and Cardiff. The team are keen to continue rolling the programme out too! 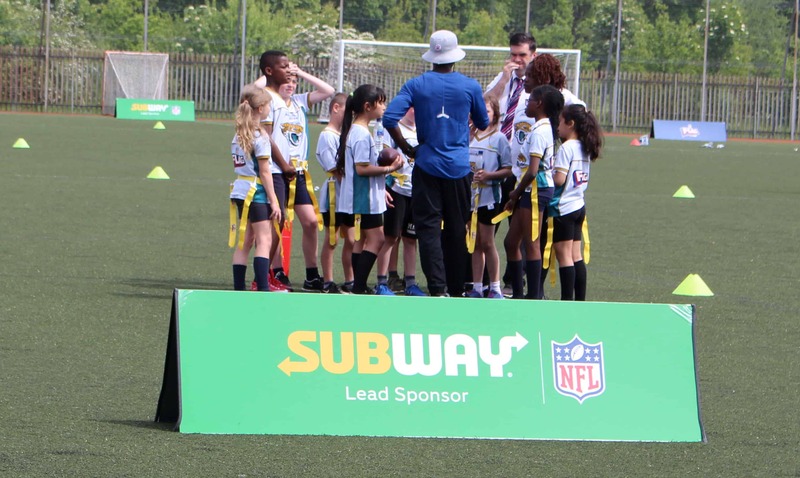 Both NFL and Subway™ are working hard together to enable primary school aged children to get fit and active whilst having fun. 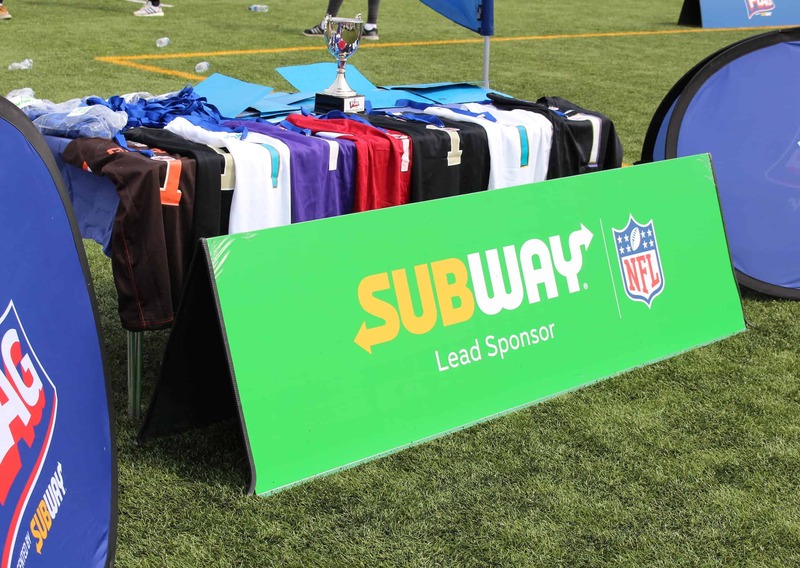 The Subway™ brand is the presenting sponsor of the NFL London Games and the NFL Flag Programme. It’s all about getting children and their families excited about sport and healthy living. The NFL Flag programme have been partnering with universities to train players to become NFL Ambassadors all thanks to Subway™ sponsorship. These trained players then take the programme into schools and teach a 12-week programme to children aged 8-12 years old. When the 12-week programme ends, there is a regional tournament involving all participating schools giving them a chance to test their new skills and have a whole lot of fun in the process. I had a general chat with some of the teachers and pupils taking part in the tournament and everyone had such positive things to say about the programme. Not only did I get this impression from speaking to them it was entirely evident just by watching how much the children got out of the games. I have to admit it was all a bit emotionally overwhelming for me hugely down the pregnancy hormones I’m sure! Seeing how genuinely happy and excited these children were for not just their own teams wins but each other’s too was refreshing! It was absolutely a competition but there were no sore losers or hard feelings and it was genuinely humbling to watch. When I got home, I was really thinking about how wonderful the NFL Flag programme is and how thanks to Subway™ they are wanting to roll it out to more and more schools. Henry had a play with one of the balls I brought home and thanks to the NFL team they gave us some exercises to practice at home to get him used to the feel and weight of the ball. It’s entirely different to a basketball or a football and at first it took some getting used to but before long Henry had the hang of things and was throwing and catching the ball around the garden with ease. As the presenting sponsors of NFL Flag, Subway™ have given schools the opportunities to implement this amazing programme that they wouldn’t have had the option to do before. Subway™ are wanting to drive this campaign even more and it’s exciting to see it being rolled out to more and more schools. Subway™ always have great value offers in store and Henry particularly loves their Kids Pak. In September, there will be a special NFL themed Kids Pak which we can’t wait to see! This post is in collaborative post however as always all words, opinions and views are my own. For more information on any of this please head over to this page. This sounds wonderful – have to admit I had no idea what nfl stood for! I love this! What a great programme to get children involved in sport and also learn so many new skills!